Halloween is around the corner and it is one of my favorite holidays to scrapbook. 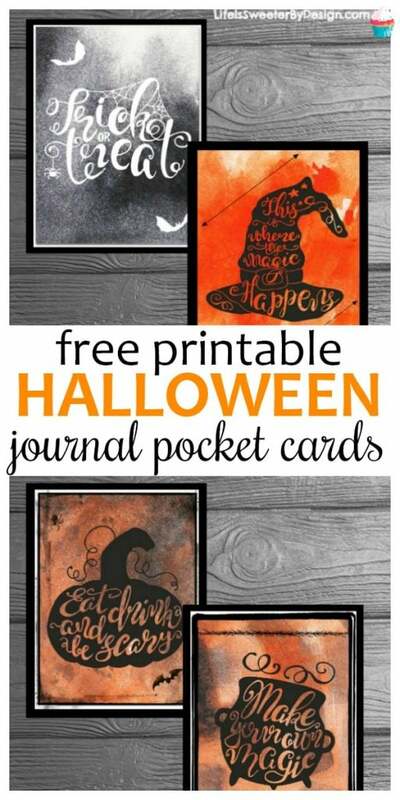 These free printable Halloween journal cards will make scrapbooking even easier and save me some money. Getting out my Halloween scrapbooks always takes me back and makes me smile. I laugh at those costumes that were totally hated by the kids and they complained the whole night. Then there are the years when the weather doesn't cooperate and we are too hot or too cold. The trips to the pumpkin patch, bonfires, corn mazes and so much more. Needless to say my October scrapbooks are packed full of fun. I love to use Project Life style pocket cards on my regular layouts and also in Project Life page protectors . Typically I will insert some of the Project Life page protectors in between regular layouts so I can get more photos in there. I have had trouble finding very many Halloween themed journal cards at craft stores. I decided to create some cute free printable Halloween journal cards and share them with you!! 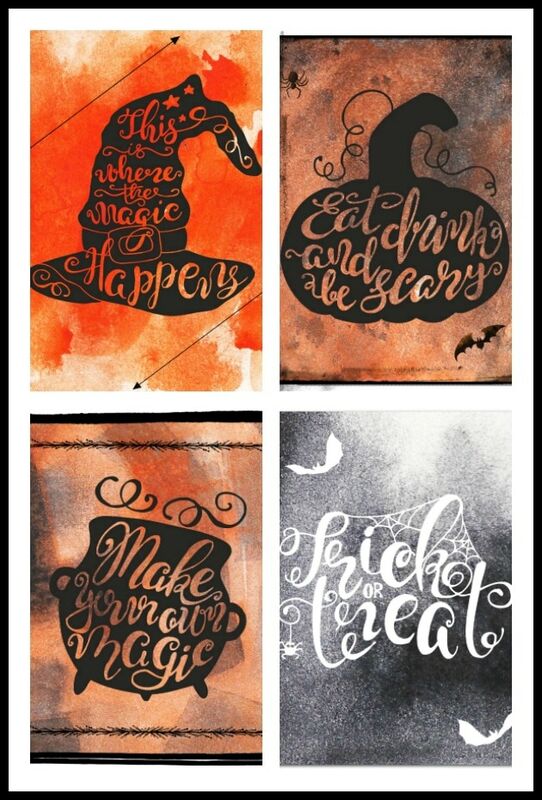 These Halloween journal cards are so easy to download and print off. I print them off on white cardstock and then use my paper trimmer to cut them apart. FYI–if you download and print off a lot of free scrapbooking cards you should definitely look into the HP Instant Ink program. It has saved me SO MUCH MONEY on ink over the past 2 years. 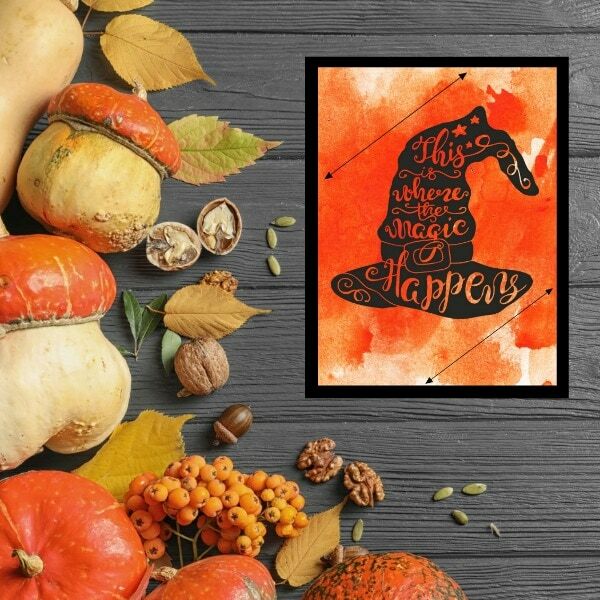 To download these free printable Halloween journal cards you can click HERE or click the image below. If you need some great title and quotes for Fall layouts just check out this HUGE list of Fall Quotes and Sayings. I know that scrapbookers tend to be crafty too…so don't miss these posts before you leave! If you are working on ideas for homemade costumes I have a few that have been my favorites over the years! These are costumes I made at home and they turned out great! My mom always made homemade costumes and most years I try to carry on that tradition with my girls. What are your plans for Halloween? What will your kids dress up like this year?